The process of creating an instance when required is known as Lazy Instantiation. The process of creating an instance at load time is known as Early Instantiation. Using private constructor because it prevents instantiation of the class. Using private static variable of the class. This is mostly used in multi-threading and database applications. Using reflection to destroy the Singleton pattern. Establish the class of the single instance object to be in charge of creation, “initialization on first use”, and access. The single occurrence is a private static characteristic and the accessor capacity is an open static technique. Characterize/declare a private static quality in the “single occurrence” class. Characterize/declare an open static accessor capacity in the class. Perform “apathetic introduction” (creation on first use) in the accessor capacity. Characterize/declare all constructors as private. An instance created for a class when it is required, is called as Lazy Initialization. An instance created for a class at load time, is called as Early Initialization. The “static member function accessor” approach will not support the subclass feature of the Singleton class. Enum value can be instantiated only once in a Java program. Since Java Enum values are globally accessible, it is easy for singleton. The drawback is that the enum type is inflexible. For example, it does not support lazy initialization. Thread-safety interferes with the performance due to the cost associated with the synchronized method. Although, it is required only for the first few threads, separate instances might be created. To avoid this overhead every time, double checked locking principle can be used. In this approach, the synchronized block is used inside the if condition block with an additional check to ensure that only one instance of the singleton class is created. Reflections are used for destroying the singleton pattern. 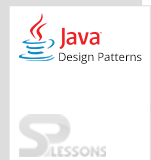 Singleton pattern is a simple design pattern and can be used for serialization. Singleton pattern is easy to implement and has a single class which creates an object and ensures that single object is created. 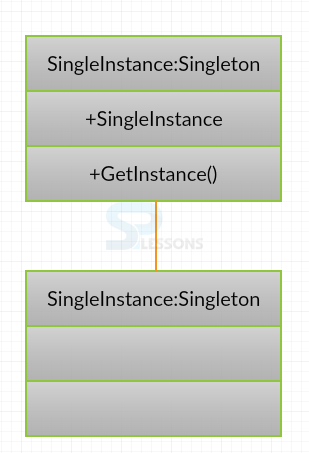 Singleton pattern has the following principles: Single instance of a class, global access and “initialization on first use”.